Donald, a young fisherman, is overwhelmed when he comes across a group of exotic women dancing on the shore beneath the moonlight. They are selkies -- seals that shed their skin once a year and become human for a few hours. Overcome by their beauty and magic, Donald kidnaps one - a choice that will determine his future. Now, back home in his close-knit Scottish village, he must take responsibility for what he has done. Donald has been bullied and isolated all his life, but thanks to his mother and his stolen selkie wife, he finds the courage to question, then change the culture of the town that has been mired in the past for generations. Yet despite their mutual happiness, he can never truly forgive himself for the thoughtless act that brought his wife to him. This enchanting story works its way to a surprising yet satisfying ending. Based on a beloved Scottish legend, Sealskin is a timeless tale of the responsibilities of love - and the inner strength required to atone for terrible wrongs. 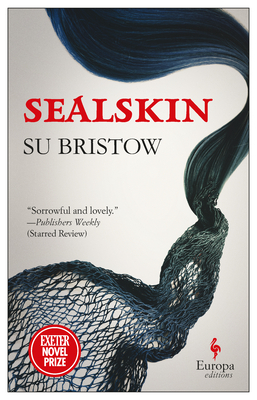 Su Bristow won the Exeter Novel Prize for Sealskin in 2013. A consultant medical herbalist by day, she is also the author of several short stories, as well as two books on herbal medicine and the co-author of two on relationship skills.